Marine LCpl. 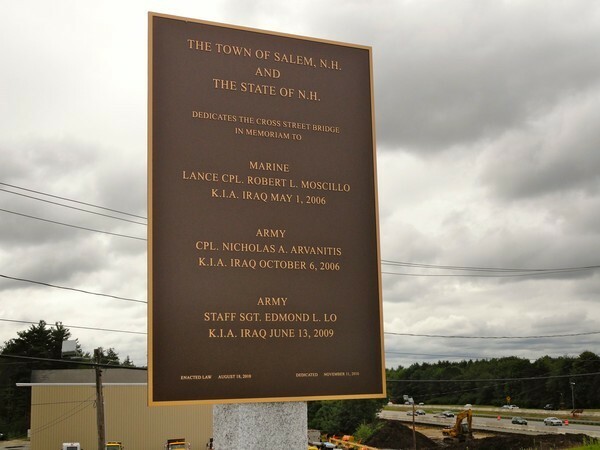 Robert L. Moscillo - Run for the Fallen New Hampshire, Inc.
Robert, also called Bobby by family and friends, liked G.I. Joe action figures as a child, even dressing up like G.I. Joe for Halloween. He was a 2003 graduate of Salem High School where he played baseball and was on the wrestling team. Bobby was always active, was a sports fanatic and kept a good grade-point average, planning to go to college to become a pastor. His teachers remember him as ‘the kind of boy who tried hard all the time’. He had ambition to get out of Salem and be something more than just a high school graduate. Bobby’s interest in his faith could be seen back to when he was a young patron of vacation bible school. His interest was nurtured by the guidance of the Rev. Dennis Scott of the Community Bible Fellowship Church of the Nazarene in Manchester. There was a time in high school when Bobby lived with the pastor in Windham at the request of his mother Donna, then a single parent struggling to handle her rebellious son. In January 2005, he answered a call to serve our country by enlisting in the U.S. Marine Corps. He had planned to make a career out of the military. He successfully completed recruit training, marine combat training, combat engineer school, and the Martial Arts Program with a Tan Belt and was assigned to the 1st Combat Engineer Battalion, 1st Marine Division, Camp Pendleton, CA, where he served as a combat engineer. In February 2006, Bobby deployed to Iraq in support of Operation Iraqi Freedom and the following month was promoted to the rank of lance corporal. He was a machine gunner, the unit was charged with detecting land mines. 1st Lt. Nathan E. Zygmont, Bobby’s platoon commander said that he was a solid performer and a hard worker who volunteered for any task, as well as remembered by his fellow soldiers for his Boston accent. Bobby was killed in action by an improvised explosive device explosion while conducting combat operations against enemy forces in the vicinity of Fallujah in the Al Anbar province of Iraq. The family notes that Bobby’s death was almost exactly 30 years after the death of his uncle Robert L. Moscillo, for who he is named, who died returning home from Navy service during the Vietnam War in 1976. His awards and decorations include the Sea Service Deployment Ribbon, Iraq Campaign Medal, Purple Heart, Combat Action Ribbon, Global War on Terrorism Service Medal, and the National Defense Service Medal. Bobby is survived by his mother Donna and father Frank; sister Sandra, brothers David and Joseph; half-sister, Jenny and half-brother Frankie, and his extended family. Bobby (right), with friend Mark Snapausky at the Salem High School senior prom in 2003.